Cincinnati, Ohio 8/6/17 – General Tool Company (GTC) manufactures parts and systems for Fortune 500 Defense, Aerospace and Commercial customers. As a third generation family business, we focus on a positive culture and values for our 250 employees and customers. 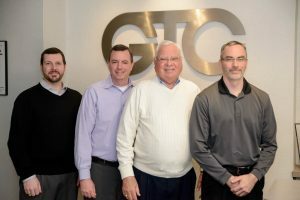 As a semi-finalist, GTC will be further evaluated by an independent panel of judges who will be looking at the breakthroughs and accomplishments that distinguished their business – and the Cincinnati region – in 2017. The 2017 Goering Center Family & Private Business Awards winners will be announced at the awards gala this fall on September 12, 2017. This annual recognition program, in its 18th year, honors Cincinnati regional businesses that exemplify the best in family and private business practices. Each year more than 500 businesses are nominated for these awards and from those nominees, 75 semi-finalists are selected. On September 12, 2017, three awards will be presented in each of two divisions: family business and private business. Additionally, the 2017 Goering Center Hall of Fame winner and the Baldwin Volunteer of the Year will both be celebrated, and the Goering Center will recognize its first annual Rising Leader – one of nine emerging leaders who are shaping the future of Cincinnati businesses.